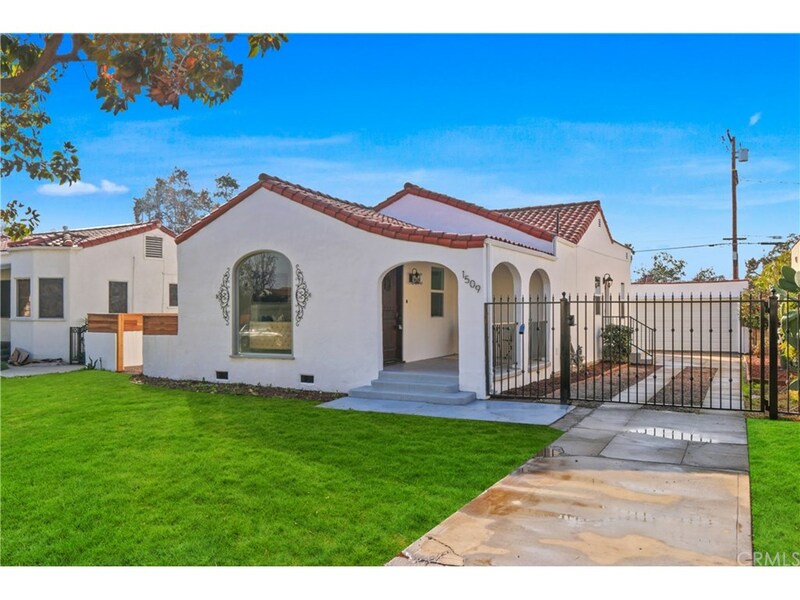 Spanish architecture modernized remodeled home on excellent tree lined street! Monterey is a highly desired street and home is within walking distance to very popular restaurants and shopping malls. This charming home was completed with meticulous design detail and is a gorgeously reinvented rare move in ready home. Covered sitting area front porch with security gated backyard and long driveway for off street parking. Additional private side patio off dining room for expanded entertaining. Amazing Open Floor Plan with Family room, Dining room and Kitchen all connected with big Spanish archways for nice family gatherings. Large custom butcher block kitchen peninsula with breakfast bar seating for four. Under counter wine cooler included. Plenty of cabinet storage and counter space with nice pantry cabinet in kitchen. Laundry area off kitchen. Authentic Saltillo Spanish tile and rustic oak plank floors throughout. New LED recess lighting and designer accent lighting. New quality cabinets, windows, molding’s, solid doors, hardware, electrical, plumbing, tank less water heater, appliances. Central heat and AC. Large two car garage is finished ready for studio and separate room to use with your imagination. Backyard has fruit tree and grape vine. Front and back yards are ready for your personal touches. Too many quality design items to list…amazing opportunity to move in and start enjoying immediately is waiting for you. **Green grass in yards has been photo shopped in as concept. Listing provided by : Scott Denick License # 01180731, Standing Rock Realty, Inc.